One of the things in the church that is not well understood by many people is baptism. Baptism is one of those acts that was modeled by Christ and commanded by Scripture. After Pentecost, the day the Holy Spirit came down initially to the disciples and then to the church, the disciples were out preaching with Peter leading the way. All those in Jerusalem were hearing these men preach in their own language. In Acts 2:38, Peter preaching to thousands of people who were in awe that everyone was hearing in their own language when he said, “Repent and be baptized every one of you in the name of Jesus Christ for the forgiveness of your sins, and you will receive the gift of the Holy Spirit.” He pled with them “Save yourselves from this corrupt generation.” Those who accepted his message were baptized, and about three thousand were added to their number that day. So, baptism is an outward demonstration of heart level repentance and identification with Christ. 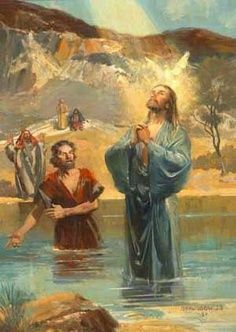 Even though Christ had nothing of which to repent, nor could baptism make Him any less sinful (He was without sin), He felt it was important to model the step for all of us. When speaking of baptism we talk of following Christ in baptism. In the process of inviting Christ into our hearts, we must, by definition, repent and turn from our former way of life and thinking. New believers have a desire to follow Christ and baptism is one of those outward statements true followers want to make to the world around them. Here we have the moment of truth for Christ’s presence here on earth. It is the ultimate act of sacrifice for which He came to earth. One man being crucified for his crimes recognizes and acknowledges Jesus as the Christ, the promised Messiah. Jesus, seeing the man’s heart, hears his confession and tells him that on that very day, they would be reunited in paradise (heaven). This man had no opportunity for baptism and Jesus, seeing his heart, welcomes him into the kingdom. The Holy Spirit has seen to it that this crucial and sensitive moment, is recorded for us as an affirmation of John 3:16 which tells us that whoever believes in the Son of God, will be saved. Baptism is taught in Scripture, yet it is practiced in many different ways. Some practice infant baptism, some sprinkle, and some immerse. The question becomes whether there is a right way and a wrong way. Immersion is symbolic of being buried with Christ and raised again to walk as a new creation. While the Scriptures imply that people are being baptized in deep enough water to accommodate immersion, there is no specific teaching that immersion was the only method or the only acceptable method. Many churches that do not have baptistries sprinkle those desiring baptism. Here we must trust the Scriptures again and know that the Lord knows the heart of men, just as Christ knew the heart of the thief on the cross and affirmed they would see one another that same day in heaven. Yes, churches will have Scripture to support their approach, but the one thing that remains is that baptism is universally seen as an affirmation of one’s faith. Some in the evangelical community baptize infants as identification with parents who are believers, much like circumcision was an identification for Israelite infants. Circumcision did not guarantee the child’s affinity to the faith. It was an identity with God’s chosen people. Since Christ’s atoning sacrifice, the law (circumcision) was replaced with grace (baptism) in its outward manifestation. Baptism continues from the days of John the Baptist to represent repentance and forsaking our former ways of life. It has always represented a decision that could only be made by a person of sufficient age to consciously decide to follow Jesus. This matter is treated much more extensively by theologians, but for our purposes here, we simply need to understand the teachings of Scripture. Thanks for enlightening this most important topic. Well said. It is an important topic that is clearly taught in the Scriptures. Thanks for stopping by. Thank you. I enjoyed reading about this and have wondered about it as well. This is an important step in the life of all who have come to faith in Christ. Hopefully, this shed some light on what the Bible teaches. Thank you for sharing this post. It answered a very important question for me and using the example of Jesus and the two thieves was most fitting. I pray that God continues to bless you with such wisdom and insight.